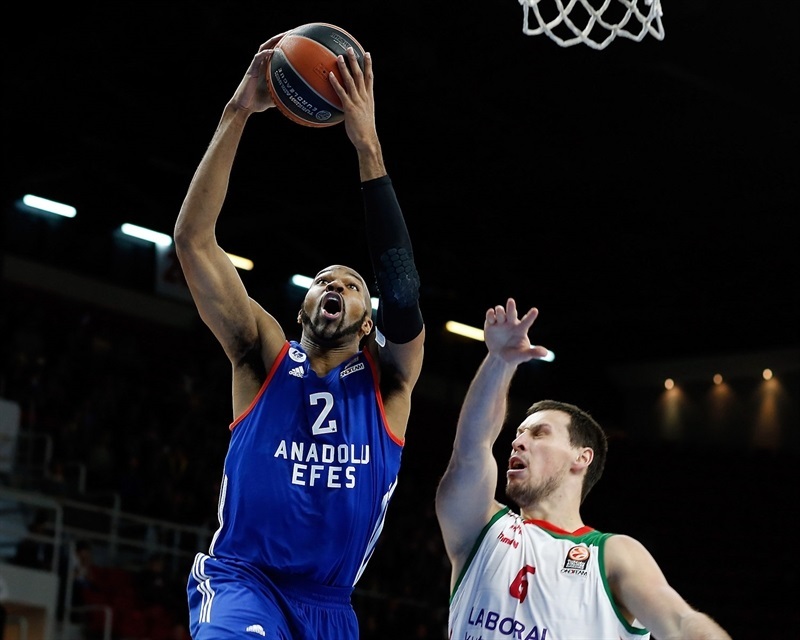 Anadolu Efes Istanbul came on strong down the stretch to defeat visiting Laboral Kutxa Vitoria Gasteiz 95-86 and take over second place in Group B with one regular season game left. Down 72-77 midway through the final quarter, Thomas Heurtel led Efes on a late 10-0 run to tie the visitors with a 5-4 record, good for second place on point difference between them. Laboral had won their first game 92-90 in Vitoria. 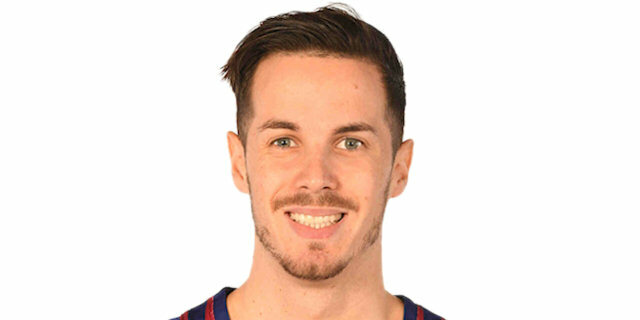 Heurtel had 25 points and 9 assists for the winners, putting him 2 assists away from 500 for his Euroleague career, something only 17 players have done before. 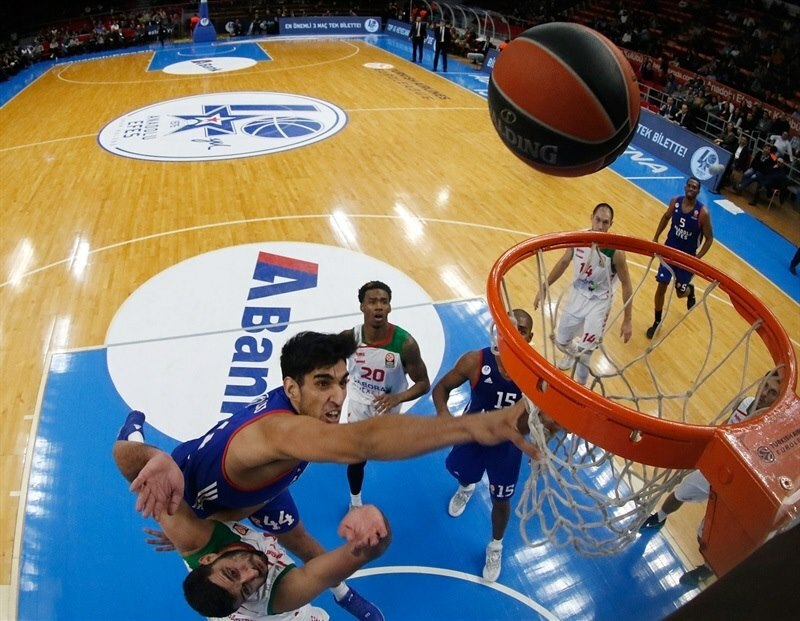 Efes, which had trailed by double digits in the first half, got 12 points from Dario Saric and 9 from Alex Tyus 9. The hosts made the most of 22-for-26 free-throw shooting to offset Laboral's 14-for-27 three-point accuracy. Darius Adams had 6 of those triples for the visitors and finished with 20 points. Jaka Blazic added 15, Mike James 14 and Ioannis Bourousis 12. While taking a high lead of 33-45 in the first half, Laboral shot 7 for 10 (70%) on threes but only 5 for 11 (45%) at the foul line. Tornike Shengelia was left open for a triple to get the scoreboard ticking over for the visitors. Tyus got one layup blocked and missed a second but put down his third with a free throw to tie 3-3. 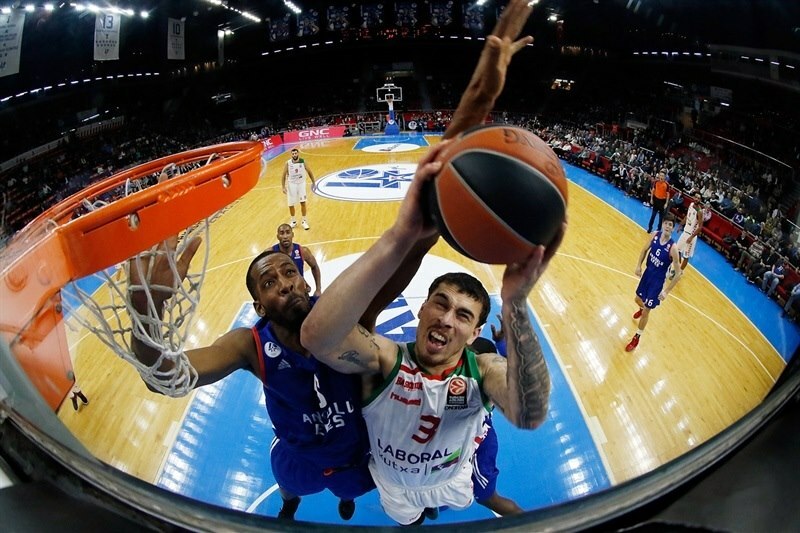 Darko Planinic spun in the paint for a bank shot and Adams punched in a transition triple as Laboral pulled away 3-8. Adam Hanga made a finger roll that Jon Diebler matched with a jump hook at 5-10. When Adams lined up and hit from the arc again, Laboral had a 5-13 lead. Derrick Brown and Tyus each split free throws for Efes to cut the difference, but Shengelia detonated a dunk to match them. Tyus swished a jumper and Cedi Osman came on to complete a three-point play on a great pass from Heurtel to get Efes within 12-16. Laboral missed several free throws, but found another three-pointer, this from Blazic, that Heurtel answered with a pair of free throws at 14-19. Blazic and Hanga connected on a fastbreak alley-oop before Brown completed the first quarter scoring with a jump shot that left Laboral holding a 16-21 lead. 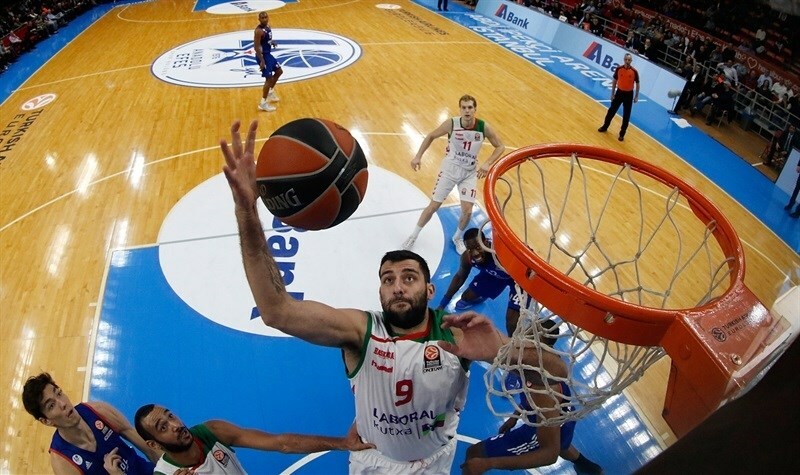 Bourousis made his presence felt by making a back-down hook shot and an open jumper as Laboral went up 16-25 at the start of the second quarter. 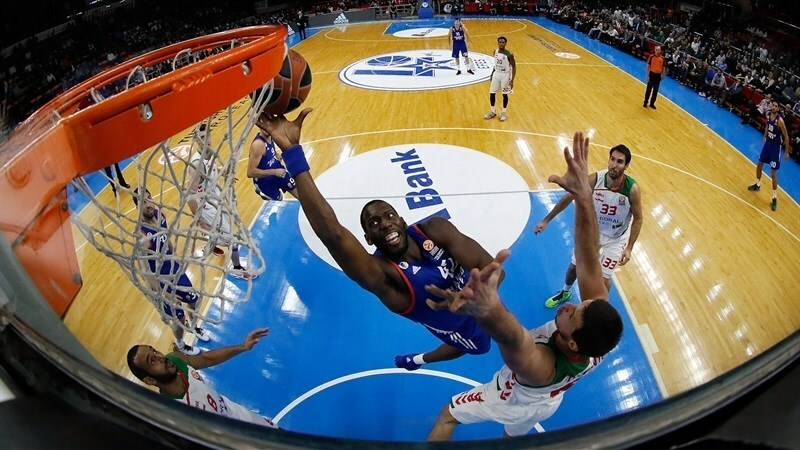 Brown faked and dunked for Efes, and following Bryant Dunston's block at the other end, Heurtel scored on a layup. After Adams scored falling down, Heurtel drilled a triple, but Kim Tillie did the same for Laboral, which now led 23-30. 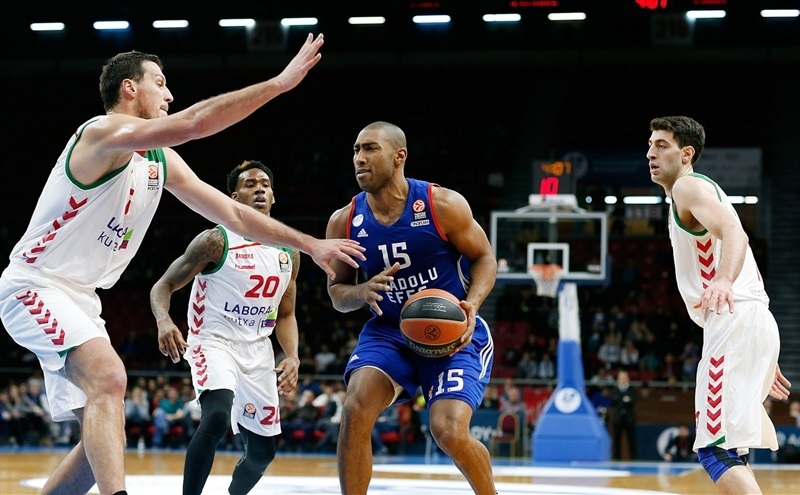 A turnover led to Jayson Granger scoring on the break for Efes, but the hosts then left Blazic open on the arc to make it 25-33. Granger got to the basket easily, as did Heurtel on a broken play, but it only served to narrow the gap to 29-33. Ahmet Duverioglu enter the game and slammed for Efes before Bourousis buried a triple and Blazic finished a fastbreak to make it 31-39. Heurtel and Duverioglu connected for another dunk, but Bourousis found Tillie for a three-point play and Laboral's first double-digit lead, 33-43. James stepped back and added a jumper to that margin, but Duverioglu rolled to the basket again for his third dunk! Free throws by Bourousis kept the Laboral lead at 11 points. Duverioglu barely missed his next dunk try, but Granger tipped it in, then the big man was back with another basket and Diebler finished the half at the foul line, getting Efes back within 41-46. Saric scored his first points to open the second half as Planinic answered inside for Laboral. Saric and Planinic kept going with dueling jump hooks. Tyus dove to the rim next and got a three-point play out of it, cutting the distance to 48-50, but he left the game limping. Great ball movement to Saric for a corner triple - just the second for the hosts - put Efes in front 51-50. Planinic and Heurtel exchanged basket, but the Efes point guard returned for a stop-and-pop jumper to lead 55-52. Bourousis put back an offensive rebound for Laboral but Diebler erased it with free throws. 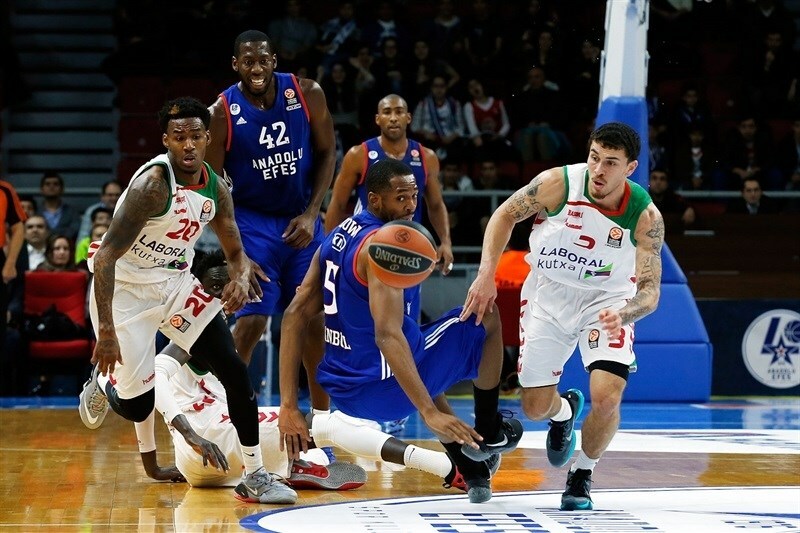 A running layup by James drew his team closer but Furkan Korkmaz matched him at the foul line as Efes went up 60-56. Adams stepped on the floor and drilled a triple that James then copied as the visitors surged in front, 60-62. Saric was having none of it, however, and buried his own shot from the arc to make it 63-62. Heurtel went high off the glass to keep Efes ahead and then added a jumper from deep. Adams was ready in response with a running triple at 67-66, which is how the third quarter ended. 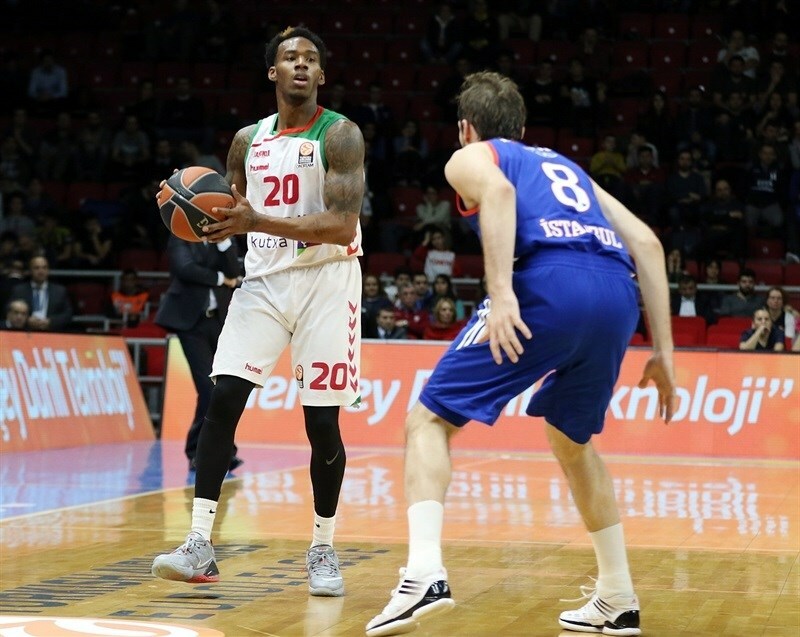 Birkan Batuk of Efes drilled a corner triple to jump-start the final quarter, but Adams took a long bounce pass from Tillie and made his own at 70-69. 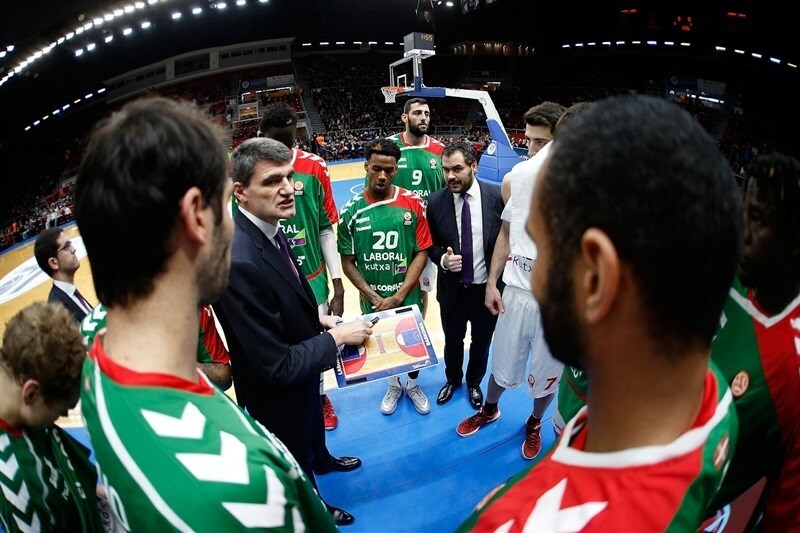 Osman and Batuk teamed up for a put-back, but Blazic blasted a game-tying three-pointer for Laboral at 72-72. Adams was not about to be outdone, however, and stepped up to the arc on the next fastbreak, burying his sixth triple to put Laboral in front 72-75. After a timeout, Blazic gave the visitors the next basket, to which Efes responded with a corner triple from Batuk at 75-77. James pulled up for an elbow jumper before the scoring stalled until Heurtel jumped off the bench for a triple. Bourousis made a great back-door bounce pass to Blazic for a basket that Brown matched by soaring for a put-back at 80-81. Heurtel got to the free throw line to retake the lead, 82-81, then he fed Dunston for a dunk. When Granger hit 2 free throws, too, the hosts had their biggest lead of the game, 86-81. Diebler added to it with his own free throws, but James answered from downtown to make it 88-84. 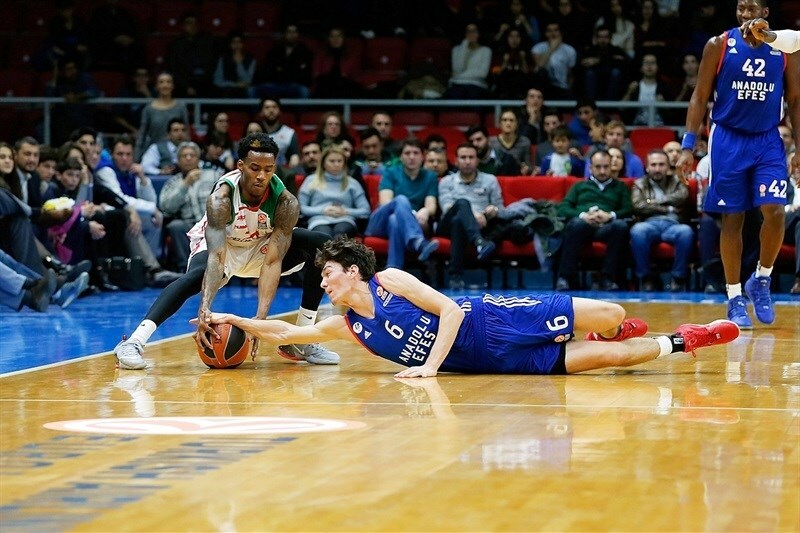 Bryant turned a steal into a transition basket before Saric flipped the ball behind his back to Heurtel for a game-clinching three-pointer from the top at 93-84 with 47 seconds left as Efes held on for the tie-break difference to move into second place in Group B. 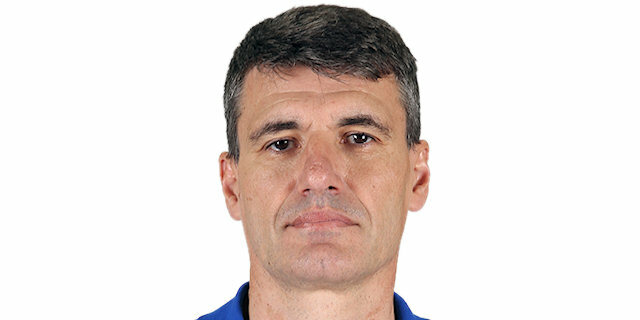 "In the first half, we put the team of Laboral in the rhythm they wanted. And after that, I think that my team focused at the last moment. It was very, very big desire, very good team playing, and I think we deserved this victory. It was a very, very exciting game. Both teams had already qualified to the Top 16, but if you look at the game, it was two teams fighting until the last minute to win today. A very high quality game. 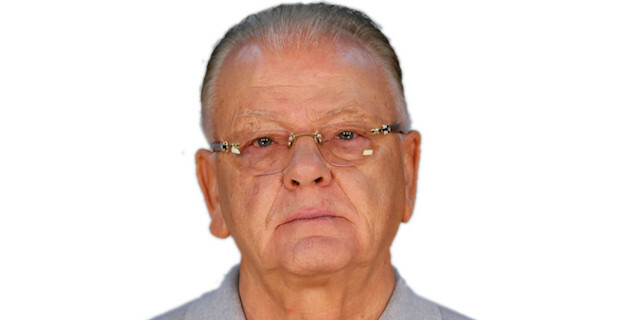 I don’t like these kinds of games as a coach because we shouldn’t allow 86 points. We started the game badly. We missed very easy layups and open shots at the beginning of the game. In this period in the game, Laboral got 13 easy points and we did not make any fouls in this part. They made 7 of 10 field goals in the first quarter and 52% of three-point shots over the game. From our side, we played best at the end of the last quarter. We deserved this victory. We have to continue working. " "We started the game very good. We controlled the first half. 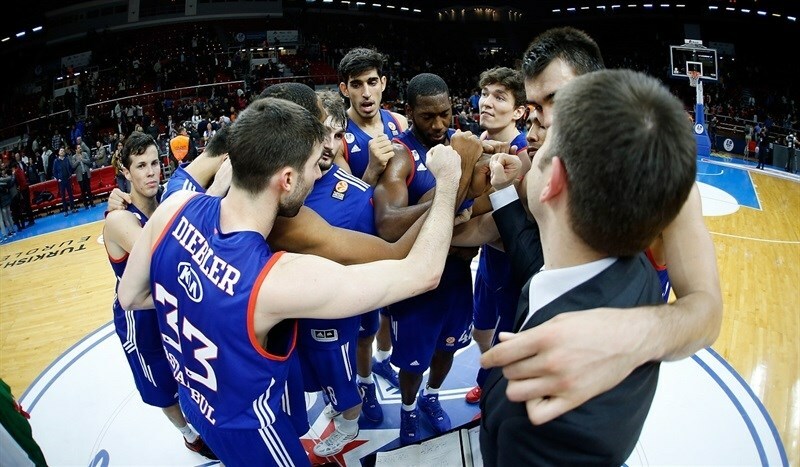 With the beginning of the third quarter, Efes started playing very tough. Especially in the last two minutes of the game, Efes decided everything. We made crazy shots at that moment. Heurtel and Saric performed very well. But in the last minutes of the game, we had bad shot selection and a bad defensive performance. Congratulations to Efes." "I think in the last quarter we showed our character, we showed our defense, and we need to play like that the whole game. We kenw that to finish second, we would have to win every game. Our motivation is big, so we tried to play our defense and our offense the same, and tonight we did it."